GODWIN JUST SET THE STANDARD. AGAIN. Improved pumping efficiency. Better fuel economy. Easier operation. Reduced maintenance. Introducing the first-in-series Godwin NC150S Dri-Prime® Pump – the smart solution for water. Working with customer feedback and usage data from hundreds of field tests, we’ve re-imagined, re-designed and re-engineered the Godwin NC150S Dri-Prime pump to make it smarter and deliver exactly what your toughest dewatering jobs require. It’s easier to outsmart water when you can do it from anywhere. 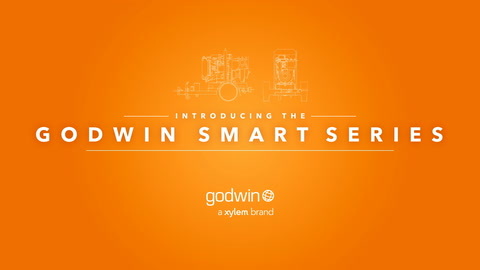 In an industry first, the smart Godwin S Series pump, including the NC150S Dri-Prime Pump, can be monitored and controlled from any smartphone, tablet or desktop computer, anywhere in the world with Godwin Field Smart Technology (FST). monitor and communicate with your pump in real-time, no matter if it’s hitched to a truck cruising down the highway, tucked in a municipal lift station, or even standing guard at an out-of-the-way construction site. Keep track of multiple pumps on multiple sites from one screen and always know what’s going on. Thanks to smart design based on real-world usage data and advanced engineering, the diesel engines and electric motors available in the Godwin NC150S Dri-Prime pump go far beyond simply being green, they also match your needs in the field. Greater uptime means fewer headaches. We’ve engineered the Godwin NC150S Dri-Prime Pump to be smart in the field too. A no-split belt change takes 30 minutes, using ordinary hand tools. A cartridge-type, mechanical pump seal reduces installation and set-up time. An optimally-placed sight glass makes it easy to tell when the oil needs changing. And a 25% increase in pump shaft diameter means longer pump life. And since we added FST functionality, real-time monitoring alerts you to required preventative maintenance — which is the best service enhancement feature of all. We’ll be in touch to show you how to outsmart water in a whole new way.